He didn’t know it, we didn’t know it, and they didn’t know it, but Mohamed Morsi planted a time bomb on September 6, 2012, when he appointed Hisham Geneina as chief auditor. Geneina had plenty of name recognition and public esteem as a leader of the judicial independence movement of 2005-2006, but unlike his fellow judges in that movement, he is not thought to have Islamist sympathies. When the revolution broke out, he did not delve into its politics, as did Zakariyya Abdel Aziz, who gave rousing speeches in Tahrir Square, or Mahmoud al-Khodeiry, who was elected to the first and only real parliament after Mubarak’s ouster. And he was not discredited in office as was Ahmad Mekky, who frustrated many people as Morsi’s Justice Minister and then, frustrated himself, huffily resigned in April 2013. Morsi was fairly easily removed by the longtime hoarders of state power, but ironically they’re finding it much harder to eliminate his most fateful appointment. This March, Sisi dismissed Geneina from his post, but the story is far from over. Today is Geneina’s first trial session, where he stands accused of “disseminating false news that disturbs the public peace.” But the coup makers had to take a tortuous path to get to this stage, and the trial portends the beginning of a second and possibly more embarrassing phase. Geneina’s shrewd tactics and unassailable reputation have made this a very costly mess for Sisi and his confederates. The Central Auditing Agency (CAA) that Geneina directed is an intriguing organization. Created by a parliamentary act in 1942 as the “Accountancy Diwan,” it was designed as an internal watchdog to monitor all government revenues and outlays. The prime minister appointed the agency’s head with parliament’s approval, but only the latter had the power to dimiss him. In the Nasser years, the Agency was given its current name and logo of a wide-open eye atop a scale. But with the shift from parliament to the presidency as the locus of power within the state, the CAA was brought under presidential control; now only the president could appoint its director for four-year terms, and no director could be dismissed. In 1988, a new organizing law expanded the CAA’s auditing powers beyond the bureaucracy, enabling it to inspect the finances of political parties, trade unions, and professional associations. As long as the president was an unelected insider and corruptionist-in-chief, the CAA was a tool unleashed on peons in the bureaucracy and critics in civil society. But mostly it was inactivated. Judge Gawdat al-Malt, the director of the CAA for the last 12 years of Mubarak’s rule, repeatedly came in for criticism from opposition parliamentarians and journalists for sanitizing CAA reports before sending them to the president. When the unthinkable happened in 2012 and the president was an outsider who appointed another outsider as chief auditor, many cushy nests were liable to be disturbed. Geneina did something deceptively simple: his job. 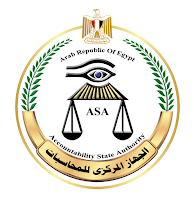 The CAA is one among several Egyptian state institutions that can actually work well, given enabling conditions. One of Geneina’s first acts was to hold essentially a public information session about the CAA, beginning to activate the organization’s fine-sounding role on paper and inform the public about what it does. After the military coup, Geneina intensified his media strategy, making it impossible for the coup-makers to do away with him in the dark after Morsi was ousted. Realizing what Morsi and the Ikhwan never appreciated, Geneina systematically and directly courted public opinion as his survival strategy. He held bold conferences at CAA headquarters and took reporters’ stunned questions; he gave endless interviews, simplifying complex issues in precise yet accessible language. And when the government’s smear campaign against him extended to his wife and in-laws, he invited a Sisi shill to his home for a two-hour televised interview with his wife and three daughters. Geneina did all this well before he revealed in December 2015 the figure of $76 billion lost to corruption, the ostensible reason he was dismissed from his post and is being tried. But the government’s campaign against him started in 2014 and peaked in mid-2015. The reason Sisi and company couldn’t just wait till Geneina’s term was up in September 2016 is that he made visible the one government bureau that all of Egypt’s unelected presidents want to keep unknown and inconsequential. Geneina walked a very fine line between deference to the military-general-turned-president and airing high-level corruption in the Interior and Justice Ministries. Carefully working within official initiatives and the 2014 constitution’s explicit commitment to combating corruption (Art. 218), he nevertheless shrewdly exploited the constitution’s ambiguity about publicizing CAA reports by simply taking his facts and figures directly to the public. Geneina’s first major overture after the coup was a February 2014 press conference that described high-level corruption between 2011-2013, including financial misdeeds during Morsi’s brief tenure to deflect the charge that he was an Ikhwan mole, as the lunatic fringe alleged. Forms of corruption long known to Egyptians were now being publicly certified by the one government official who could do so, at a time of the coup regime’s maximum power. Three particularly egregious modes of corruption were highlighted: the astronomical bonuses and allowances funneled to Ministers for meetings they did not attend and boards they contributed nothing to; off-budget funds in untouchable Ministries, particularly Interior; and land sales to top officials and crony businessmen, the chief perk of high office. From February 2014 to this day, Geneina pursued a regimen of pretty much constant media exposure, to control the narrative, frame the issues, and brand himself a bold public advocate on a matter everyone cared deeply about . “I’ve put my hands into the hornets’ nest but I’m ready to take the sting,” he said in a long interview shortly after the press conference, saying that he had turned down repeated advice to not confront the issues. Knowing full well the government’s age-old stratagem of imploding organizations from within, Geneina spent his first year in office cultivating a positive, team-building ethos within the CAA. 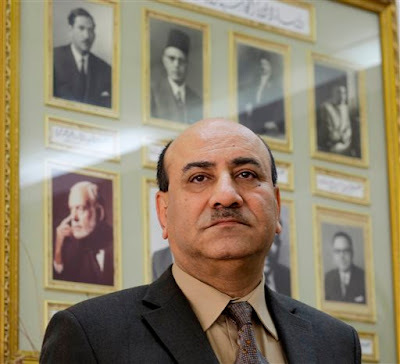 He messaged a morale-boosting professionalism to the CAA’s 12,00 staff members, calling them “arbiters of public funds” in internal publications while being careful never to rubbish his predecessor, Gawdat al-Malt. He acted not as a crusader come to sweep out all that came before, but a can-do, collegial manager intent on professional development and non-divisive leadership. 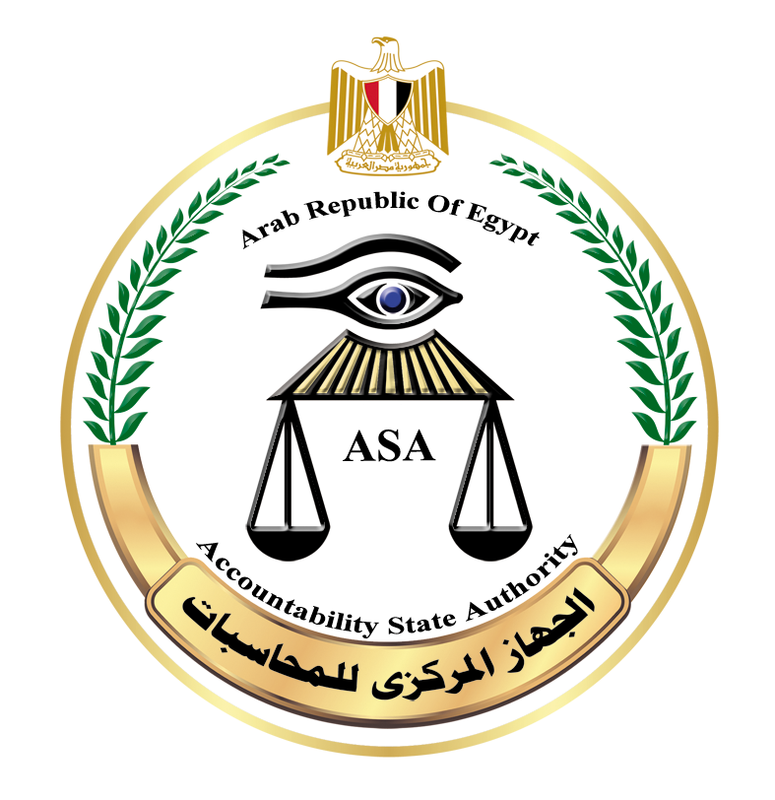 In language that nods to the criticisms of Morsi during his time in office, Geneina wrote to his colleagues, “Our goal is reform and inclusion, not division…to make the Agency a renowned institution built on enlightened thought.” To my knowledge, the government has not been able to find disgruntled employees or opportunists within the CAA to agitate against Geneina and make his ouster look like a popular demand. Geneina made a beeline for the the police and judicial sectors as two of the most graft-ridden enclaves in the state, and that dredged up an old conflict with Ahmad al-Zind, the bulldog head of the Judges’ Club, former Justice Minister, and a frontline figure in the campaign to oust Morsi. Back in 2009, Geneina and Zind faced off in internal elections to the Club; Geneina represented the dissident judges who linked up with activists for clean elections and judicial independence in 2005-2006, and Zind represented judges who conciliated the government and received ample material rewards. Zind defeated Geneina and his slate in a close election, and that history now resurfaced, with Zind all-too-happily slandering his nemesis while filing complaints against him for noting financial misdeeds in Zind’s management of the Club. Geneina was not intimidated, easily deflecting the attempts to portray his work as score-settling with Zind or revenge on behalf of the Ikhwan. When he showed no inclination to back down or scale back his media strategy, a fierce campaign using the courts and newspapers targeted his integrity and motivations. He did not flinch from using the government’s anti-terrorism rhetoric, spinning it to say terrorism flourishes in the de-development spawned by corruption. When that didn’t work, the government dipped into its reservoir of dirty tricks. At the peak of the anti-Geneina offensive in summer 2015, the military’s minions in the media disseminated that he had accompanied his half-Palestinian wife to Gaza to visit his Hamas in-laws. Rather than buckle, Geneina granted more interviews in which he warned of an espionage case being concocted against him, and invited a top pro-Sisi television anchor to his home, where Geneina’s wife unapologetically informed the presenter that she had returned to Gaza after an 18-year absence to grant her deceased father’s last wish to be buried among his ancestors. It was at this juncture that Sisi issued a terse decree-law on July 9 granting the president the right to dismiss the directors of independent regulatory agencies, including the Central Bank. A model of elastic language, the law enables the president to remove directors if they “affect the security of the state,” “fail to carry out their duties in a manner that harms the high interests of the land” “lose confidence,” or “lose any of the qualifications for office for non-medical reasons.” The law was inked a full five months before the rapid chain of events culminating in Geneina’s sacking and trial. On December 7, Sisi issued a decree appointing two deputies to Geneina, the first of whom is leading State Security prosecutor Hisham Badawi, who prosecuted the most politically-sensitive cases during the Mubarak era. On December 23, 2015, Geneina gave an interview to al-Yawm al-Sabe’, a broadsheet with deep ties to security agencies. The journalist quoted Geneina saying the cost of corruption was $76 billion in 2015. In fact, the figure covers the years 2012-2015 and is drawn from a CAA report (still-unpublished) commissioned by the Minister of Planning to coincide with the UN’s International Anti-Corruption Day (December 9). Facts mattered little, however. The ideal pretext to sack Geneina had just revealed itself, and the machinery was set in swift motion. On December 26, Sisi formed a fact-finding commission to investigate not corruption, but Geneina’s contention, placing Badawi on the commission. Two weeks later on January 12, it issued its findings that Geneina inflated the cost of corruption, “lost credibility,” manipulated figures to put positive developments in a negative light, and misused the word “corruption.” The commission concluded with the line, “One's word is a responsibility, accountability is a necessity, and knowledge is a right of the people.” Sisi issued his decree dismissing Geneina on March 28, the state security prosecution began questioning him in May, and in early June referred him to trial for disseminating false information that “disturbs the public peace,” a misdemeanor that carries up to a year in prison and/or fines. Till the end, Geneina sought to make his case as costly as possible for the government. He refused to post bail and legitimize the bogus charges, and was taken into custody with a suitcase of clothes and medication until today’s first trial session. Only when his youngest daughter ended up in hospital from shock did he allow his lawyers to pay the money so he could go see her. As a chapter in the story of the Egyptian revolution, the saga of Hisham Geneina and the institution he briefly steered is not just about creative leadership under unbearable constraints. I don’t doubt that Geneina’s acumen and even heroism will become clearer as time passes and more details emerge. There’s another dimension further below the surface. Beneath entrenched powerholders’ fury at Geneina’s audacity is the fear commanding every power-grabbing clique, the fear of open, protracted controversies before all eyes, away from the closed rooms and scripted settings where they prefer to do business. The counter-revolution is dedicated to refurbishing ideas and practices of political guardianship, convincing some and crushing others to accept that open conflict, loud fights, accountable public officials, and other ways and means of doing politics are not the ‘appropriate’, ‘efficient’ or muhtaram way of doing things. Above all, that holders of state power are an insulated caste who can’t be subject to the impertinent meddling of ignorant commoners. Hisham Geneina’s conduct was a particularly dramatic challenge to the idea that the public has no business concerning itself with public affairs.